» Prediabetes And Sugar: Is Sugar Ok to Eat? By now you've probably been wondering how sugar fits into your new life as a woman with blood sugar problems. Can you ever eat sugar again? 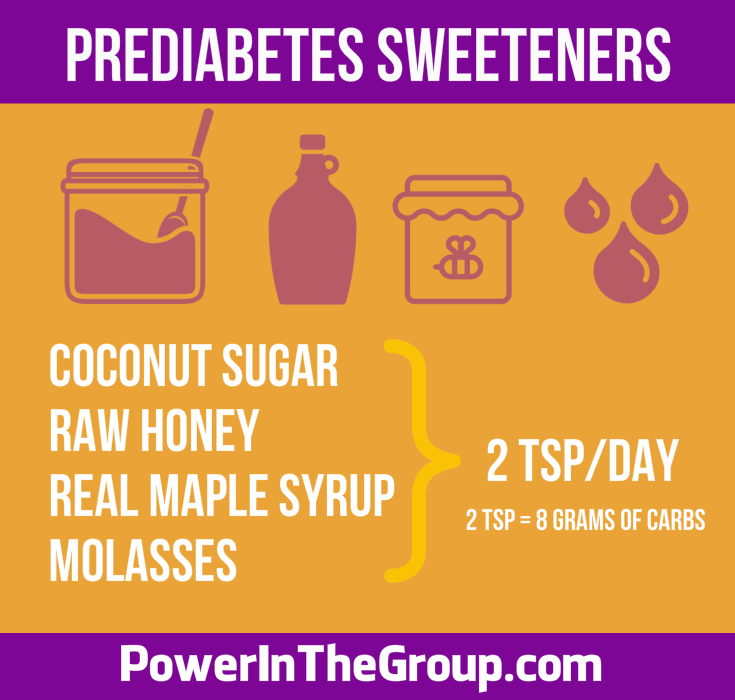 Natural sugars are ok to eat when you have Prediabetes. Because natural sugars aren't just sugar! Natural sugars are also packed full of vitamins, minerals, amino acids and antioxidants. Some natural sugars even have fiber in them! All of these sweeteners are natural and, in small quantities, you won't notice a significant blood sugar response, if any. Natural sugars don’t raise your blood sugar as much as refined sugars. The minerals in natural sugars slow down their digestion. OK, even if you choose natural sugars, you can’t just eat sugar by the cupful! Be smart and control yourself. 2 teaspoons per day, or less, is totally workable if you stick with whole foods high in fiber. You can learn more about how to do that here. But what about cane sugar, high fructose corn syrup or just plain old white sugar? 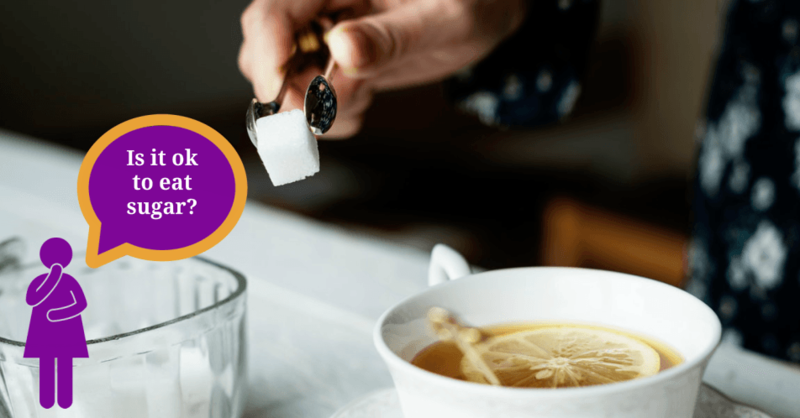 Are those sugars ok to eat? Any sugar that's been overly refined is a big no-no because you're not eating something that's even remotely natural. All processed sugars will raise your blood sugar MUCH faster than natural sugar. This includes: cane sugar, brown sugar, turbinado sugar, high fructose corn syrup. Why isn't cane sugar ok? Cane sugar has some of the natural minerals intact but you really don't know how much refining has taken place when you compare brands. Cane sugar is still VERY processed and you are better off choosing more natural sugars. Brown sugar is just refined white sugar with a wee bit of added molasses. So just say no to brown sugar. Maltodextrin is a highly processed sugar powder made from plant starches and it's very similar to corn syrup. Maltodextrin also disrupts your gut microbiome, so just say no. There is nothing worse for your body than artificial sugars that are made in a laboratory. You need to avoid ALL artificial sugars like the plague! Artificial sugars are linked to weight gain, insulin resistance, IBS, migraines, behavior problems, and other metabolic problems. The most common non-artificial sugar replacements are Stevia Extract and Monk Fruit Sweetener. You should avoid these at all costs. Because your body can't tell the difference between these and real sugars! What Happens When You Eat Something Sweet? When you eat something that tastes sweet, your body releases insulin to help get the pending sugar out of your bloodstream. Insulin coming to the rescue is a totally NORMAL metabolic response! But nowadays there are 'natural' sugar substitutes that taste sweet but aren’t sugar. The problem is your body doesn't know you didn’t eat REAL sugar – so you release insulin – even though you didn't need to. What happens to this insulin when there is no sugar to be found? It zips around your bloodstream causing insulin resistance. All this insulin zipping around your bloodstream makes you feel hungry too, so you tend to eat more later...that's why these sweet-tasting non-sugar sweeteners are linked to weight gain and overeating. Stevia is also a known hormone disruptor, so that doesn't sound good either. All sugar alcohols are plants that have been 'altered' through a chemical process in a factory. Sugar alcohols are promoted as a form of sugar that's less sweet than sugar. There's one big problem though...they're very unnatural and your intestines will tell you so. 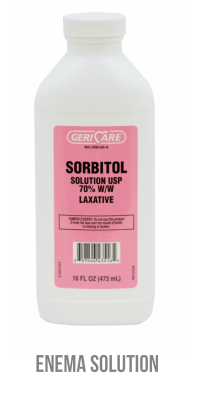 (In other words, get ready to run to the bathroom or be doubling over with terrible gas pain...because you'll get major bloating and/or diarrhea). Sugar alcohols raise your blood sugar! Just not as much as refined sugar. Sugar alcohols are COMMON food additives, so read labels carefully. In vitro bioassay investigations of the endocrine disrupting potential of steviol glycosides and their metabolite steviol, components of the natural sweetener Stevia. Total and free sugar content of Canadian prepackaged foods and beverages.